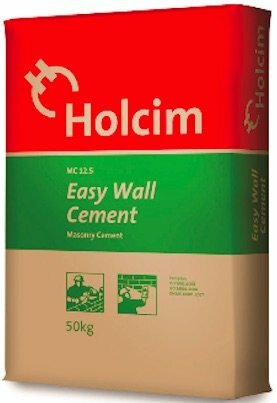 Holcim Easy Wall (HEW) is a premium quality masonry cement with excellent water-retention, adhesion and workability properties. Its complies with Malaysia Standard MS EN 413 MC 12.5. HEW is a unique, all in one product which combines the strength and durability of premium quality masonry cement with the flexibility and workability properties. It is combined into a highly convenient package geared for today’s complex and busy construction sites. On top of that, HEW enhances quality and is a premium product that meets the very highest quality. When mixed with sand and water, HEW gives a mortar which offers many benefits on site.